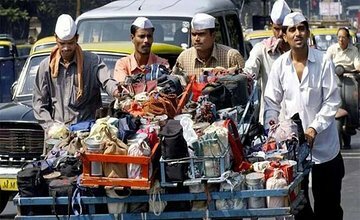 Reis naar Noord-Mumbai voor een privétour door twee stadsinstellingen - de dabbawala's en Dhobi Ghat. Leer eerst over de dabbawala's, een afleversysteem voor lunchboxen dat voedsel van huizen en restaurants aan werknemers levert. Ga vervolgens naar Dhobi Ghat, 's werelds grootste openluchtwasservice, waar meer dan 7.000 mensen een traditionele Indiase methode gebruiken om kleding te wassen. Vervoer van en naar het hotel is inbegrepen. Our anticipated 4 hour tour lasted 45 minutes. There was a conflict with our morning tour also booked through Viator that Viator ensured us would be worked out on their end. It did not happen. Since we took the other tour first our tour guide for the Dabbawalas and Dobi Ghat could only give us 45 minutes in total to cover a 4 hour tour. We took a short train ride in an unairconditioned train car to the laundry and then the guide put us in a car and sent us back to our hotel.because she had another tour booked. It was a waste of our time and the worst tour in our 19 day trip to India. When I contacted Viator upon returning home they would not accept any responsibility for the conflict. They said that we were to work out the times although they happily took our money and said they would adjust the scheduling of the tours since they were private tours. Disaster!.